Have questions or feedback about our range of rugs online, or would simply like to locate our Brisbane rugs showroom in West End? Contact us, or visit our rugs showroom today. We are closed public holidays. We can open after hours for rug viewing appointments. Daniel is a true expert. Very helpful, knowledgeable and enjoyable to deal with. Thanks for your advice and guidance. True professional. Obtained a beautiful rug from Dan a few months ago and still am in love with it! Dan is patient and helpful and a genuinely nice guy! I wouldn't hesitate to return for more rugs or home wares. Thanks Dan! West End Co. has a beautiful selection of rugs. I got into a great conversation with the business owner, who told me about the history and intricacies of rugs - I was surprised to find out that the rugs at West End Co are all hand woven / knotted, which adds to their beauty. 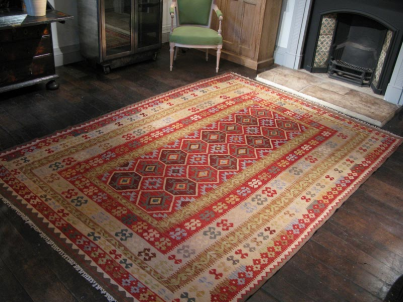 I purchased a great kilim rug that will work great both as a decoration in my home and investment. I LOVE this place. I usually drop by after having coffee with friends nearby just to see all their new stuff. 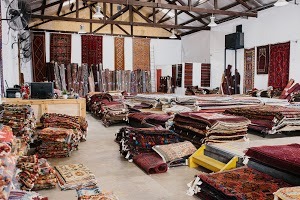 I had a few questions about rugs and they were able to give me some practical advice, free of charge. Their furniture is also beautiful: they have a mix of wooden style, industrial and other forms of furniture you don't find in the big corporate furniture stores.